Jessica (ジェシカ) is the head chef at G-8 and gets angry whenever the other chefs are off task. She is Commander Jonathan's wife. 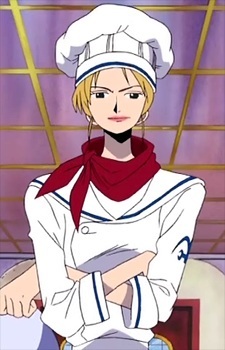 She captivates Sanji when he disguises himself as a naval cook, but he teaches her a valuable lesson apart from cooking from the heart; that a good cook should never waste food just to use the best ingredients.